In September 2014, our 11 year old sedan was rear-ended and totaled. But for the accident, we would have kept that fully paid off 20 MPG car for another 3-5 years. Faced with a 30-day deadline to buy a new car, we embarked on a thorough search of the internet, Facebook friends, in-person friends and local dealerships. Living in the San Francisco Bay Area, electric vehicles are everywhere, so that’s what we considered first. November 2015 UPDATE: With gas well below $3 per gallon, most EVs and Plug-In Hybrids cost more to operate than conventional gas engine cars. For example, we drove to Union Square and recharged at a Chargepoint station in the Sutter-Stockton garage. It cost $1 to get 10 miles of charge. Since the Prius in hybrid mode gives 50 MPG, the electricity cost equates to $5 per gallon. So, electricity was double the price of gas. Suffice it to say, we’re not planning on paying to recharge until the price drops to about $.50 for 10 miles of charge. Sadly, even charging at home costs more than paying for gas. They’re a new technology. We are not early adopters, especially for new consumer technologies. That’s why we bought the iPhones 3Gs, 4s and 5s. Range anxiety – 80 miles is not enough for a trip to Berkeley (Go Bears!) and back or for a soccer game down in Morgan Hill. Charging stations – neither of our workplaces has charging stations. HoA issues – no one in our complex has an EV and we don’t have 220v in our garage. So, we’d have to invest time and money in upgrading the home’s electrical system, including adding a dedicated breaker for the EV. 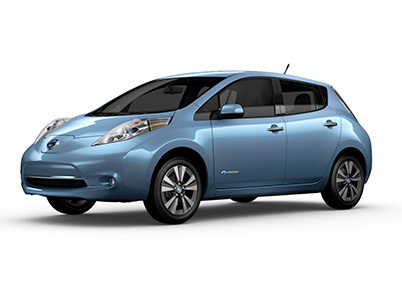 See PG&E’s guidelines for EVs. Installation cost – Installing a Level 2 charger (4x speed) in your home can cost up to $1,000, including the charger. Charge time – Unless we installed a Level 2 charger, it would take 24 hours to charge a Nissan Leaf. The technology is changing very quickly- it’s not inconceivable that the EVs giving 90 miles per charge will be giving 200 miles in a few years. So, there’s a good chance that we’d have buyer’s remorse (which might be the reason to lease instead of buy). That said, we know loads of people with EVs, mostly Nissan Leafs and Teslas. If the Leaf’s range was 200 miles, it would have been a stronger option. It was peppier and bigger than I expected. In retrospect, given the low price of gas, I’m glad we didn’t choose the Leaf. We’ve never been in a Model S and at $90k, we won’t be buying one anytime soon. It is positioned as an EV with a gas motor backup. See above for our issues with EVs. It would need 10-16 hours to charge on 110v. We looked at all 3 versions of the Honda Accord: Plug-In Hybrid, Hybrid and Gas Engine. Nixing the Plug-In was easy because it is too expensive – it starts at $40k (before the tax credits). The Chevy Volt at $34k is a bargain by comparison. Nixing the hybrid was a bit harder. It was fun to drive and had plenty of features, but the $7k hybrid premium would not offset the 20 MPG gas savings (50MPG vs. 30 MPG), especially in our current world of sub-$3 per gallon. Even, at $4 per gallon gas, we wouldn’t have recouped the premium. Another downside is the hybrid version’s trunk is quite small. We were very close to pulling the trigger on the Gas Engine Accord. We’ve owned 2 Accords in the past and the test drives confirmed it to be a solid, reliable and efficient car giving about 30 combined MPG. It also had compelling bells and whistles, like the standard right turn blind spot camera. But we nixed it because it was pricer than a comparable Prius which gives better gas mileage. The Prius has been around for a decade now. It’s a car we know well–my in-laws have two and my brother had one. In our test drives, it felt solid and our research showed it to be a reliable car. But at 1 am the night before we were going to buy the conventional Prius, I took another look at the Prius Plug-In. That’s when it clicked: even though the delta in MSRP between a Prius 3 and a Prius Plug-In is $4k, we’d get $4k back in tax credits. So, it would not cost us anything to upgrade. Assuming that the Prius gives 50 MPG and the Plug-In gives 95 MPG, $4 per gallon gas, and driving 12k miles per year, the Plug-In should use $450 per year less in gas. But it would used $240 per year in electricity. So, it would take 10 years to recoup the Plug-In premium. At $2.50 per gallon gas, however, we’ll never recoup the premium. But that’s where the carpool sticker comes in. In order to promote clean air, California allows EVs, EV Hybrids, and natural gas vehicles to get a sticker which allows them to use the carpool lanes even when there aren’t 2 or more passengers in the car. The Prius Plug-In (like the Accord and Volt) qualifies for the California carpool sticker. So, time and energy saved sitting in traffic could offset the $2k Plug-In premium depending on where and when you drive. Ford offers plug in (Energi) versions of its compact C-Max and standard Fusion models. A friend who recently bought a C-Max Energi raved about it. But because these were priced higher than the Prius Plug-In, we didn’t investigate further. Once we decided what we were getting, we had to decide whether to buy or lease. Typically, we drive cars into the ground and have never leased one. But we were open to it, especially for new technology that’s likely to change dramatically in the next 5 years. For example, it is unthinkable that the Prius Plug-In will only give 10 miles EV five years from now. Our expected annual gas/electricity budget for the Prius Plug-In is less than $700. But even if the range goes to 30 miles in five years, the operating cost wouldn’t go down by more than $100 as some of the gas savings would be offset by increased electricity usage. That’s a long way of saying that a plug-in that gives 10 miles is probably good enough for us for 10 years. The big issue, though, was whether the tax deduction for lease payments would offset the $2,500 federal tax credit for buying a Prius Plug-In. The tax credit goes to the purchaser of the vehicle, so if you lease it, the credit goes to the leasing company who purportedly pass it on to you via lower monthly lease payments. After talking it over with our accountant and given our penchant for owning, we decided to buy. One thing we did not anticipate is that for short trips, we’re using the Plug-In instead of our other car which gives 20 MPG. So, we’ll likely exceed the 12k miles per year limit on leased vehicles. I hope this helps you in deciding what to purchase. Shirish Gupta is an award-winning mediator and arbitrator with JAMS.